3 Bedroom Terraced House For Sale in Sheffield for £120,000. 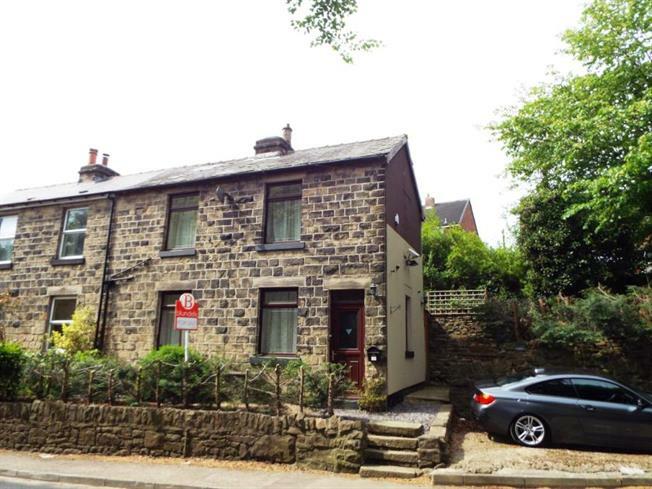 Ideal for first time buyers and people downsizing, this is an excellent opportunity to acquire with no chain this well presented three bedroomed stone built end cottage. Offering accommodation over two levels with the benefit of double glazing, GCH, rear yard and side garden, hard standing area. Ideally located for local amenities including local shops and schooling, public transport links, road network to Sheffield and Trans Pennine routes, Fox Valley Shopping centre in Stocksbridge, Hillsborough with Supertram Terminus, Park and Ride, supermarkets and shopping centre and access to surrounding countryside, ideal for the walks and mountain biking in Grenoside Woods and Wharncliffe. The accommodation comprises an lounge with feature fireplace and stone hearth, a dining Room with built in under stairs cupboard, the Kitchen is fitted with a range of base units with point for oven and access to rear yard. On the first floor the spacious master bedroom has window to front, bedroom 2 also has window to front, bedroom 3 has window to side. The bathroom has modern three piece suite in white comprising WC, wash basin and bath with shower over, splash panelling. To the exterior is a raised garden area to the side along with a hard standing area. An early viewing is recommended to appreciate the size and layout of accommodation on offer.